The pouch of the John-Benzen Tools, its multi-tool stolen from a bag of a passenger of the Philippine Airlines Flight 272 from Zamboanga City to Davao City on Tuesday, April 5, 2011. 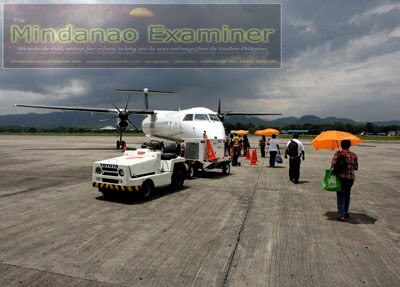 DAVAO CITY (Mindanao Examiner / Apr. 5, 2011) – A Philippine Air Lines passenger who flew to Davao City from Zamboanga City on Tuesday has complained that he lost a multi-tool from his bag. The bag, containing clothes and other personal effects, was taken by ground personnel at the baggage counter of the Philippine Air Lines at the Zamboanga City Airport. The passenger said he noticed the multi-tool missing after he took out his clothes at a hotel in Davao City. 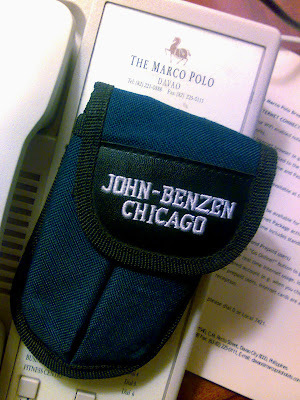 The multi-tool, made by John-Benzen Tools, a Division of Chicago Tools, was taken from its blue pouch inside one of the bag’s pockets. “It was a total shock to me. Somebody stole it in my bag and this is really a bad experience,” the passenger said. 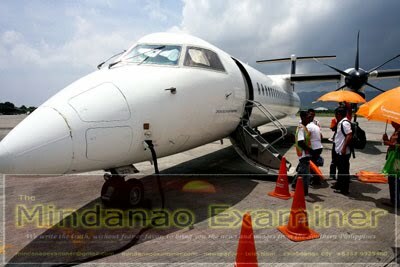 Airline officials in Zamboanga and Davao cities could not be immediately contacted to comment on the loss of the tool.